In July 1944, some 430,000 Hungarian Jews had been deported to Auschwitz in the space of 10 weeks -- the fastest, cruelest and most efficient mass murder of the Nazi genocide. Yet Wallenberg rescued some 100,000 Jews in six months in Hungary in 1944, demonstrating that one person with the courage to care, and the commitment to act, can confront evil and transform history. International Holocaust Remembrance Day is a reminder of horrors too terrible to believe but not too terrible to have happened. This year, it marked the 71st anniversary of the liberation of Auschwitz, the most brutal extermination camp of the 20th century. From 1941 to 1944, 1.3 million people were murdered at Auschwitz, and 1.1 million of them were Jews. Let there be no mistake about it: Jews were murdered at Auschwitz because of anti-Semitism, but anti-Semitism did not die at Auschwitz. As we have learned only too tragically and too well, while it begins with Jews, it does not end with Jews. As it happens, it has been a dark January. Thus far, 2016 -- not unlike January of last year -- is witnessing ongoing and tragic terrorism, atrocity, anti-Semitism and assaults on human rights. Saudi Arabia began the year with the execution of 47 people, among them Shi'ite cleric Sheikh Nimr al-Nimr, while recently arresting Samar Badawi, sister of the imprisoned blogger Raif Badawi. North Korea, itself a mass human rights violator, began by boasting the detonation of a hydrogen bomb. Iran continues executing more people per capita than any other country in the world, while remaining in standing violation of international agreements. The UN reports gang rapes by Burundi security forces and discovery of mass graves. The Islamic State continues its terrorist incitement and bombings, with recent attacks in Istanbul and Jakarta, and Islamic State-inspired assaults on Jews in Marseille. Meanwhile, Al-Qaeda terrorists mount a murderous assault in Burkina Faso, where six Canadians were among the murdered. "This disappeared Hero of Humanity -- whom the UN called 'the greatest humanitarian of the 20th Century' -- demonstrated that one person can make a difference, that one person can resist evil and prevail." In the Middle East, the killing fields continue unabated and have even intensified with the scorched earth policies of both the criminal Assad regime and ISIS. These organizations are responsible for death, destruction and devastation on a daily basis, resulting in the worst humanitarian catastrophe since the end of the Second World War. As for Israel, where I have just delivered a lecture in remembrance and reminder of Raoul Wallenberg's humanitarian legacy, the year began with the terrorist assault in the heart of Tel Aviv; threats by Islamic State leader Abu Bakr al-Baghdadi to turn Israel into a cemetery; and the discovery and thwarting of major planned terrorist attacks by Hamas and Hezbollah. January also began with the reaching of a dreaded milestone -- 100 days of terrorist attacks. At times like these, the evil in the world can feel overwhelming and it can be tempting to cede to despair, aggravating the problem of the international community as bystander to atrocity and injustice. How appropriate, then, that January 17 of last week -- the day of Raoul Wallenberg's disappearance in the Soviet Gulag in 1945 -- has been designated Raoul Wallenberg Commemorative Day in Canada in honour of this disappeared hero. It is also fitting that one of the themes of this International Holocaust Remembrance Day is remembrance and tribute to the Righteous Among the Nations. Wallenberg, a Swedish diplomat, was a beacon of light during the darkest days of the Holocaust, and his example remains so today. Prior to his arrival in Budapest in July 1944, some 430,000 Hungarian Jews had been deported to Auschwitz in the space of 10 weeks -- the fastest, cruelest and most efficient mass murder of the Nazi genocide. Yet Wallenberg rescued some 100,000 Jews in six months in Hungary in 1944, demonstrating that one person with the courage to care, and the commitment to act, can confront evil and transform history. His heroism was celebrated in the international Wallenberg exhibit during the centennial year of his birth, titled, in Wallenberg's own immortal words: "To me there is no other choice" -- reflecting a singular courage and commitment. Canada Post also unveiled a stamp to mark the centennial of this Swedish non-Jew, whose heroism embodies the Talmudic idiom that "if you save a single life, it is as if you have saved an entire universe." This disappeared Hero of Humanity -- whom the UN called "the greatest humanitarian of the 20th Century" -- demonstrated that one person can make a difference, that one person can resist evil and prevail. First, in the distribution of schutzpasses -- diplomatic passports conferring protective immunity on their recipients -- and in the establishment of safe houses conferring diplomatic sanctuary on their inhabitants. 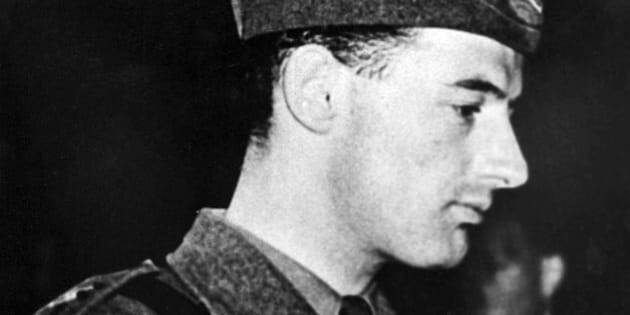 Raoul Wallenberg is credited with saving 50,000 Jews by these means alone. His deeds affirmed and validated the principle of diplomatic immunity -- the remedy of diplomatic protection -- a foundational principle of international law and model of the diplomatic capacity to save lives. Third, in his organization of hospitals, soup kitchens, orphanages =- the staples of international humanitarian assistance that provided women, children, the sick and the elderly with a semblance of dignity in the fact of the worst of all horrors and evils -- Wallenberg symbolized the best of what we today would call international humanitarian intervention. The dangers of race and anti-Semitism -- the responsibility to confront and combat. Yet, while Wallenberg saved so many, he was not himself saved by so many who could have done so. Rather than greet him as the liberator he was, the Soviets -- who entered Hungary as liberators themselves on January 17, 1945 -- imprisoned Wallenberg. He disappeared into the Gulag, and the Soviets first claimed that he died in July 1947, and subsequently that he was murdered -- also in July 1947. But these Soviet claims have been contradicted by several inquiries, including the International Commission on the Fate and Whereabouts of Raoul Wallenberg, inspired by Wallenberg's brother, the late Guy von Dardel, from Sweden, and in which I participated, along with US Nobel Peace Prize laureate Elie Wiesel, Russian scholar Mikhail Chlenov and former Israeli attorney-general Gideon Hausner. Recently, a group of international Wallenberg experts launched a new international research project, the Raoul Wallenberg Research Initiative (RWI-70), coordinated by long-time researcher Susanne Berger. The group will be convening a Raoul Wallenberg International Roundtable anchored in the repository of the experience and expertise of the scholars, in order to develop, in Susanne Berger's words, "a blueprint for solving the Wallenberg case... and to discuss how to obtain access to essential documentation in Russian and other international archives." Most important, this group is seeking justice for Raoul Wallenberg -- which has been denied all these years -- to unlock the secrets of history so that we, and particularly his long-suffering family, can finally learn the truth about this disappeared Hero of Humanity. For us, there should be no other choice. The writer is an emeritus professor of Law at McGill University, the Founder Chairman of the recently established Raoul Wallenberg Centre for Human Rights and a former Minister of Justice and Attorney General of Canada.